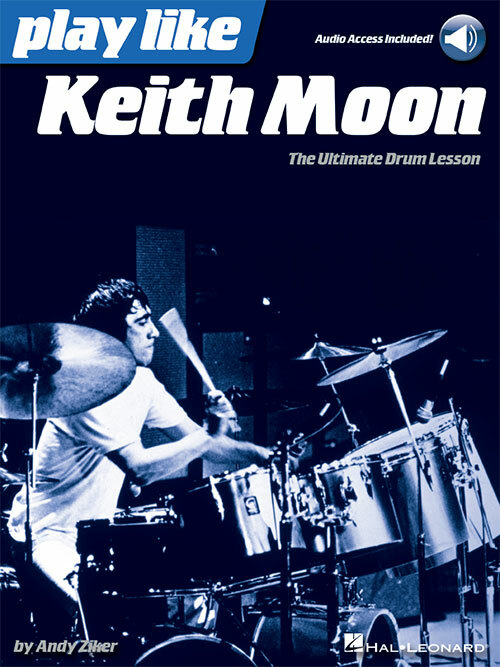 Study the trademark songs, grooves, solos, and techniques of the madman drum god, Keith Moon. This comprehensive book and audio teaching method provides detailed analysis of Moon the Loon's kit, style, songs, grooves, fills, solos, and much more. You'll learn everything you need to know about Moon's groundbreaking drumming. Each book also includes a unique code that gets you access to online audio samples of all the music in the book. Songs covered include: Baba O'Riley • I Can't Explain • The Kids Are Alright • Pinball Wizard • Substitute • Who Are You • Won't Get Fooled Again • and more.